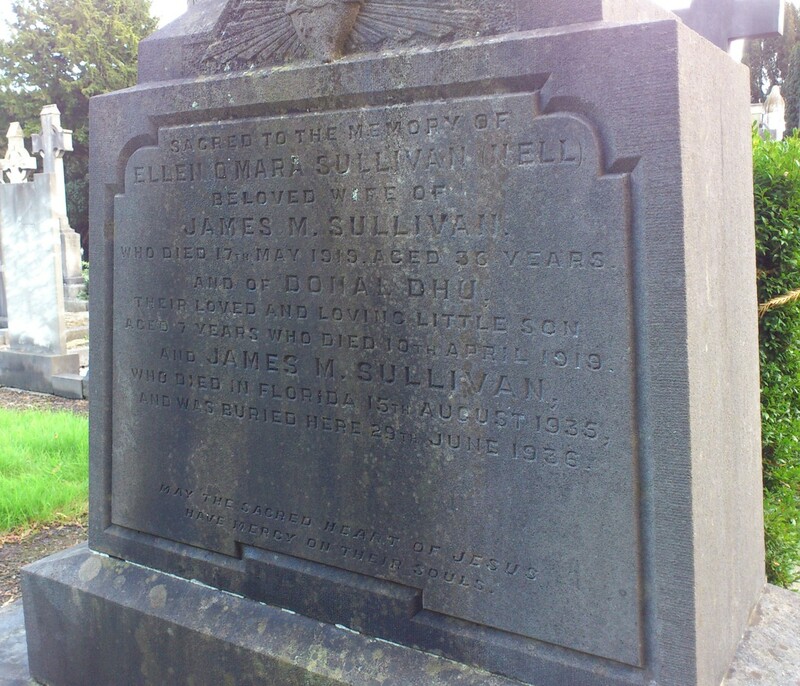 Grave of James Mark Sullivan (Jim Sullivan), in Glasnevin Cemetery, Dublin. Location: hF 15. Go in gate, to large chapel on LHS, then in a bit more, to left a bit more, to edge of graves on path. See street view. 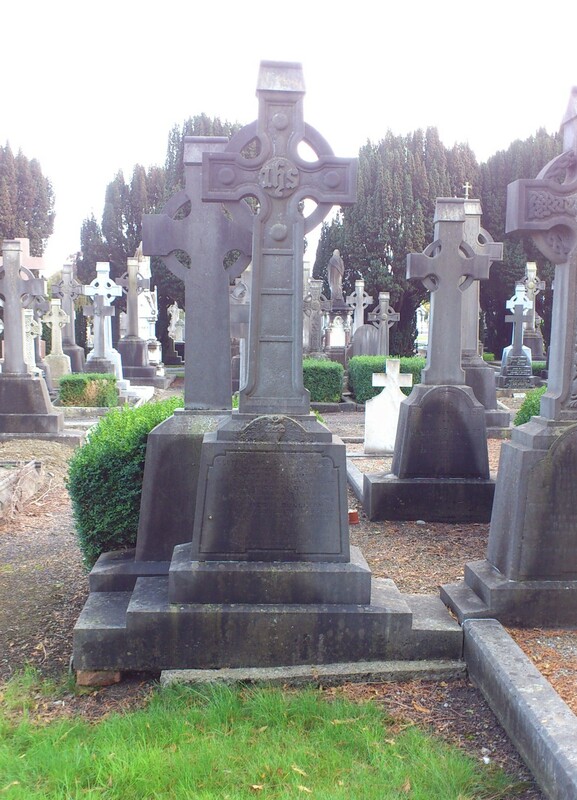 Location of Jim Sullivan grave, Glasnevin. Jim Sullivan grave, Glasnevin Cemetery, Dublin. Return to James Mark Sullivan.